Can David Beckham’s team finally score some real estate? One year from now, Miami’s new Major League Soccer team will play its first game, but Club Internacional de Fútbol Miami—or Inter Miami, as it’s known — still has not secured a permanent home or training facilities. The expansion franchise, which is owned by a group of high-profile business leaders, including SoftBank Group billionaire Masayoshi Son and Miami construction magnate Jorge Mas, is led by former Manchester United and Real Madrid megastar David Beckham. It also has ambitious but yet unrealized real estate plans for South Florida. On March 1, the team unveiled the first drawings of its proposed training facility in Fort Lauderdale. Inter Miami is one of the bidders seeking to redevelop 64 acres around Lockhart Stadium, the former home of the North American Soccer League’s Fort Lauderdale Strikers and MLS’s now-defunct Miami Fusion. Beckham’s group wants to build an 18,000-seat stadium and a 30,000-square-foot training facility, as well as a public park and playing fields. 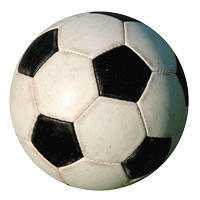 Fort Lauderdale city commissioners will have to choose between Inter Miami and a rival bid from FXE Futbol. In Miami, Inter Miami is closing in on approval for its stadium after several failed attempts. The city commission is considering a $1 billion mixed-use development on the city-owned site of the Melreese Country Club. 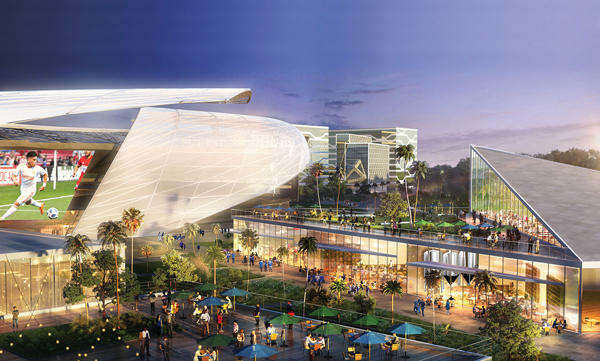 The proposed Arquitectonica-designed Miami Freedom Park & Soccer City includes a 25,000-seat stadium, a public park and commercial space near Miami International Airport. When voters approved the November referendum allowing the city of Miami to negotiate a no-bid deal for the property, the quest appeared to be near completion. However, four out of five city commissioners still have to approve the plan, and legal challenges remain. Miami attorney David Winker filed an ethics complaint and two lawsuits against the city seeking to expose what he sees as a lack of transparency in the deal and to nullify the referendum passed on Election Day. After Winker filed his ethics complaint, it was revealed that Miami Freedom Park is owned solely by Mas. 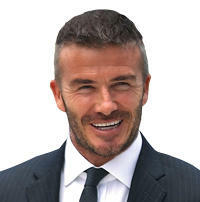 That disclosure led Winker to file a suit claiming that Beckham, Mas and others had mislead the public about the ownership of the venture, as well as failing to register as lobbyists until after the fact. Winker’s other suit claims that the language describing the specific parcels of land in the proposed deal is “vague and ambiguous” and could have been misleading to voters. The ethics complaint was dismissed by the Miami-Dade Commission on Ethics and Public Trust on March 13. Both lawsuits are still awaiting resolution. The city restarted negotiations on the project in January. As for Winker, he said as a soccer fan he was looking forward to Inter Miami playing in MLS. “I want a soccer stadium, let’s just do it right,” he said. Here’s a look at some pertinent numbers regarding Inter Miami’s real estate ambitions. Expected completion of the stadium — even though Inter Miami will start playing in Major League Soccer in the 2020 season. The team is negotiating to play its inaugural season at the 20,000-seat Riccardo Silva Stadium on the main campus of Florida International University. The number of seats planned for Inter Miami’s new soccer stadium. The total proposed size of Miami Freedom Park & Soccer City. The plan calls for 73 acres of the Melreese Country Club site at 1400 Northwest 37th Avenue to be developed into the complex, along with a 58-acre public park. Winker’s lawsuit, however, alleges that the parcels of land identified in the proposal comprise more than 150 acres, leaving some ambiguity about which part of the site would be developed. The amount of restaurant, retail and office space included in the planned development. Aiming to build a “technology hub,” the proposal calls for an estimated 400,000 square feet of office space, 600,000 square feet of restaurant and retail space and at least 750 hotel rooms. The annual rent to be paid to the city of Miami over the 99-year lease. That’s fair market value as determined by two independent appraisals, according to the city’s no-bid deal with Miami Freedom Park. However, a lawsuit by Miami lawyer Douglas Muir — and seconded by Michael Fay, principal and managing director of Avison Young’s Miami office — claim that open market rent would be $10 million annually. The number of on-site parking spots included in the proposal. Many saw a complete lack of parking structures as a major failing in previous plans to build a stadium in Miami’s Overtown neighborhood. In this version, not only will there be a garage, but it will also house public soccer fields on its rooftop. The number of voters who were in favor of referendum 1 on Election Day, giving the Miami City Commission the ability to negotiate a no-bid deal for the Melreese site. The motion was approved by more than 60 percent of voters.